Bella’s revamped sports boat fleet is riding the crest of a wave right now but is the new 550 BR enough to keep it at the top of its game? 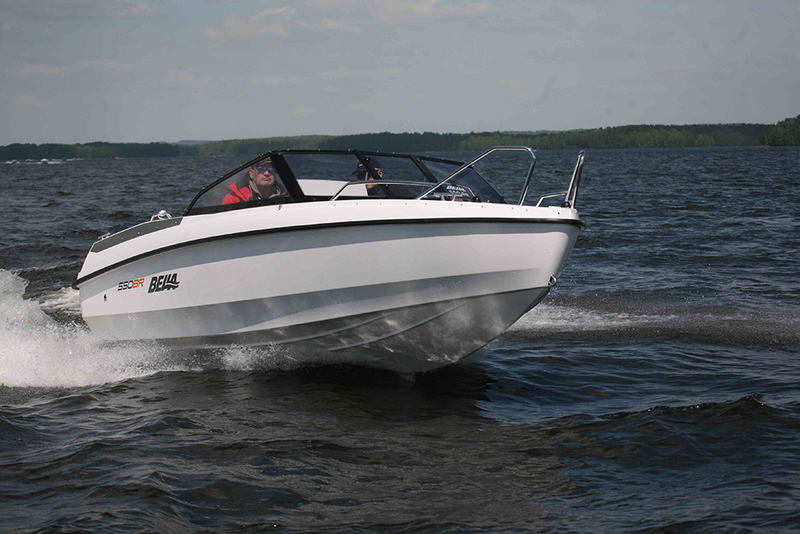 The 550 BR is the second smallest of Bella's four new bow riders. 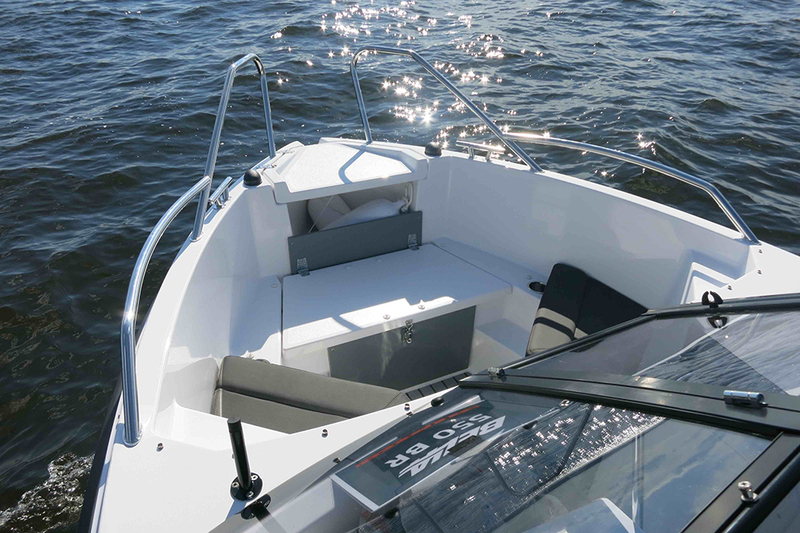 Given the size limitations, the port side of the cockpit was always likely to be one of the biggest design challenges but Thorup has still managed to make it play its part in an easy ownership experience. It comprises a full-length port seating section with a co-pilot seatback that flips over to enable you to face aft and lounge comfortably with your feet up. Better still, when you reach for the glove box, you find that the entire aft-facing structure hinges from the base, giving you superb access to the whole of the console interior. The use of easy-access (semi-lidless) storage slots beneath the port seat, in the top of the port console and in the V of the bow is similarly practical; and the inclusion of a fixed under-deck tank (rather than a portable one) helps keep the primary storage spaces free for proper use. However, despite the generosity of storage solutions, there’s still enough room for a stepping point at the starboard side of the aft bench to access the swim platforms and there are equally accessible boarding points on both sides of the bow and at the step-through forepeak. 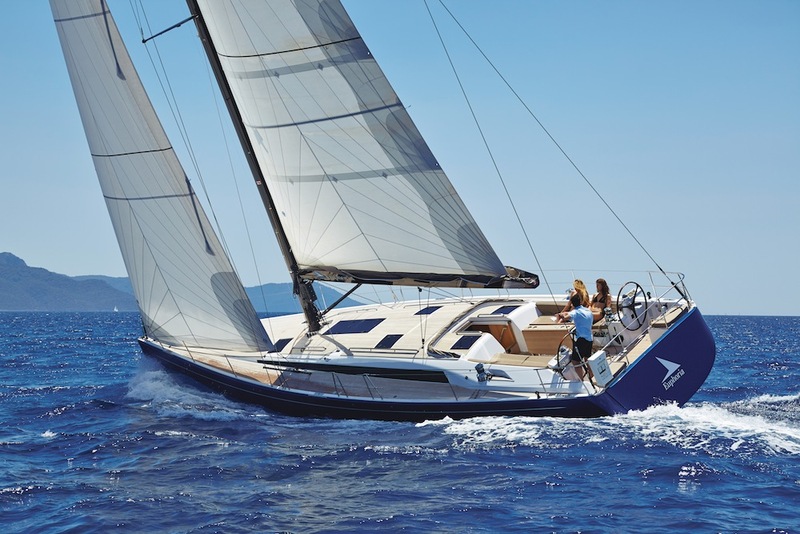 And in addition to the simple, ready-rigged canvas behind the aft bench, the 550 also benefits from Thorup’s trademark sunpad conversion technique. It features a simple two-part hinged seat base that can be folded into place in a couple of seconds. 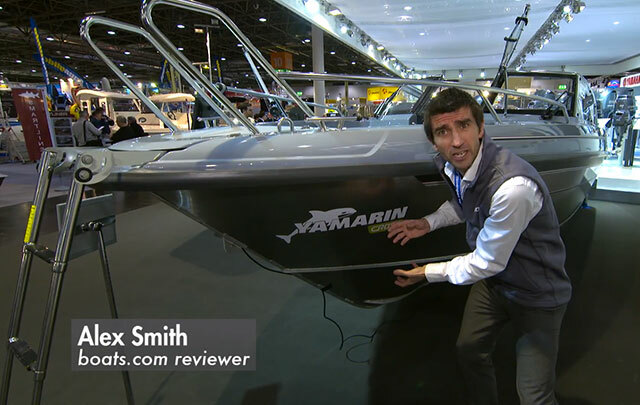 That does away with the need for a separate panel and that all helps contribute to a boat that feels easier, more comfortable and better considered than almost anything else in its class. Stylistically, the combination of moulding details, easy-grip grey decking, stainless trim and orange accents is also very slick. True, it doesn’t feel quite as classy as the lovely 600 BR, but it has enough of the same design cues to make you feel like you’re in a boat that’s a cut above the norm – and at the helm, things feel equally good. You get more than enough space for Garmin’s 721 XS; and you also get plenty of storage for the small stuff, with a cupholder and a moulded recess behind the wheel, plus a couple of 12V sockets, a deepset slot beneath the wheel and a larger quick-access storage box behind the upper lip of the dash. The deep, secure cockpit makes excellent use of the port side. Despite the fact that Mercury’s 2,100cc F100 enjoys a larger capacity than anything else in the 100hp bracket, it’s 20kg lighter than Suzuki’s DF100 and a remarkable 4kg lighter than Honda’s 1,496cc BF100. 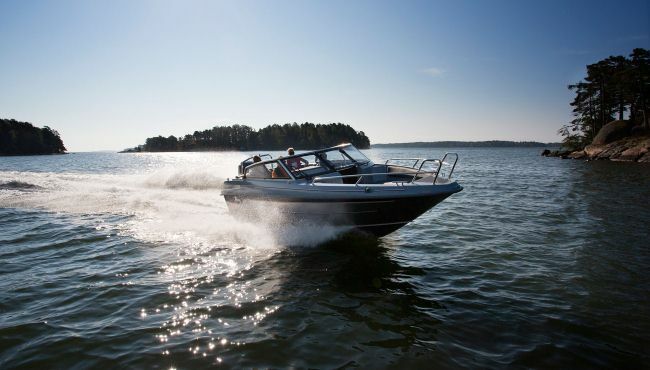 It’s even a match for Yamaha’s new 1.8-litre F100F and the fact that it’s around 100kg below the rated limit for the Bella’s transom means that, when you get underway, the modest impact of the outboard’s presence helps flatter the boat’s natural balance. As with every Espen Thorup design I’ve helmed, the driving experience is unerringly effective in a measured, family-friendly sort of way. It lifts rapidly onto the plane, tracks straight, runs flat, accelerates well, responds to trim and achieves an adequate but not excessive top end without a hint of uncertainty or misbehaviour. 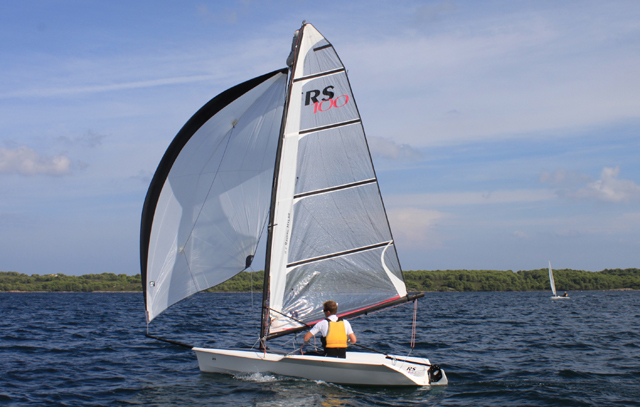 The ride is soft enough for a boat of this kind, the stability even at rest is impressive and the refinement is very good, with minimal wind and engine noise and very little water ingress in a moderate sea state. In fact, if you engage in a 20 to 25-knot cruise, the 550 BR is as quiet and relaxed an experience as you are likely to find on a boat of this type. Notwithstanding the perennially breezy seats at either end of the aft bench, it’s a comfortable boat too. 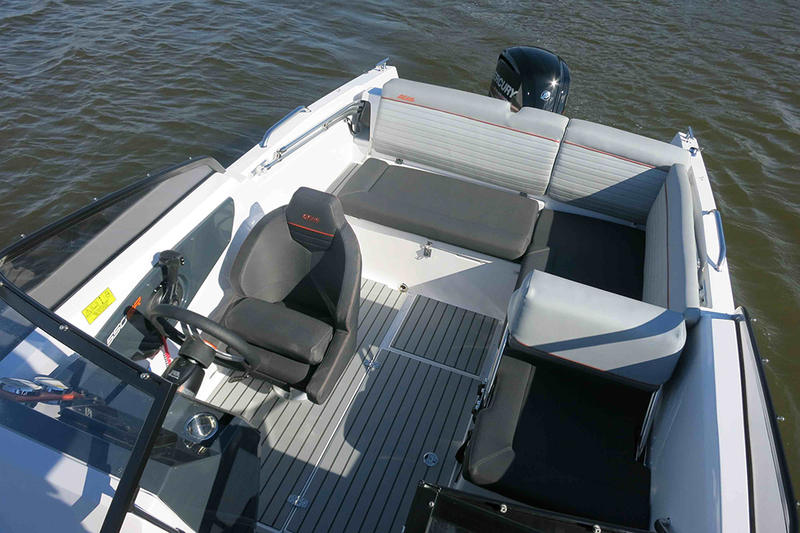 The cushions are firm and easy-maintenance, the grab handles are all positioned in the perfect spot and the screen, with its sturdy central gate is matched to the elevated bow rails and deepset deck to give you a sense of security very rarely experienced on an 18-foot open boat. As regards efficiency (always a core consideration on a compact dayboat), that seems equally well considered. Only while you’re making the transition to plane does your range dip below the 100 nautical mile mark. 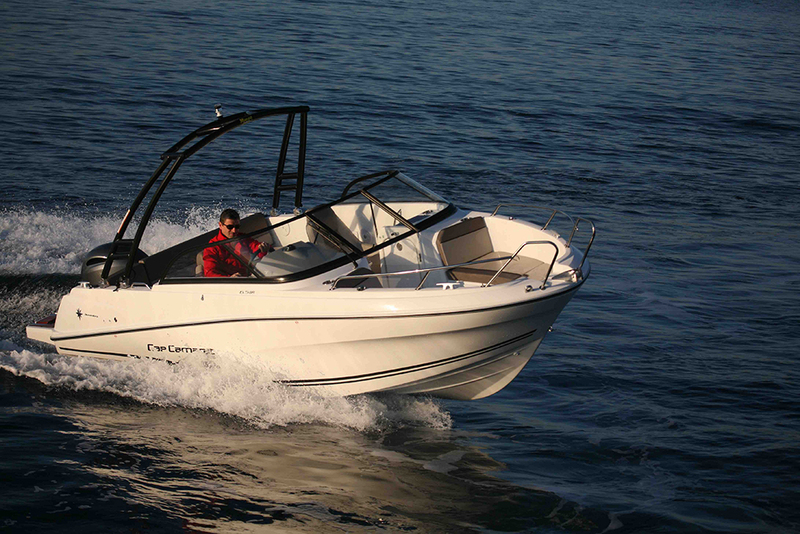 At all other points on the curve, from a five-knot potter to the 35-knot top end, the range from the 105-litre tank remains very sustainable for decent passages and long days on the water. You could always upgrade to the F115 for 40-knot performance but do you really need to be burning another 10 litres per hour? Given how complete and uncompromising the 100hp package feels, the answer for most family users is probably no. 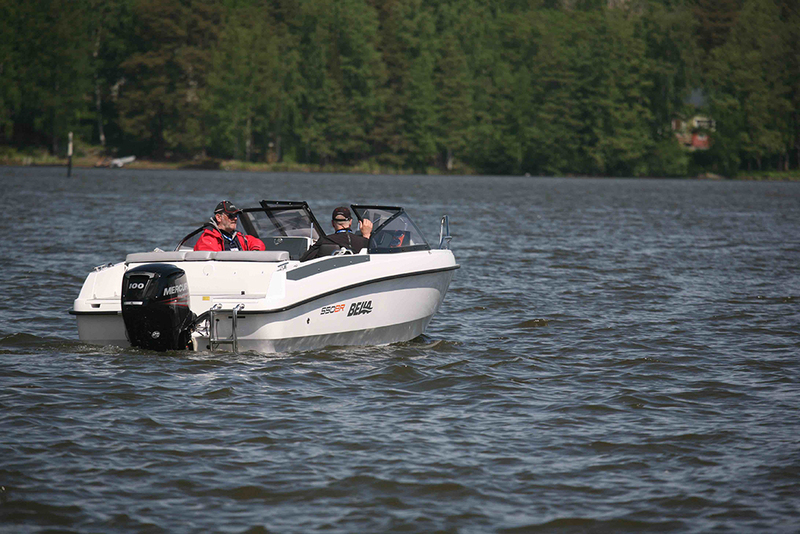 The bow offers clever storage solutions and penty of embarkation points. For a price of around £30,000, this is a great family boat. 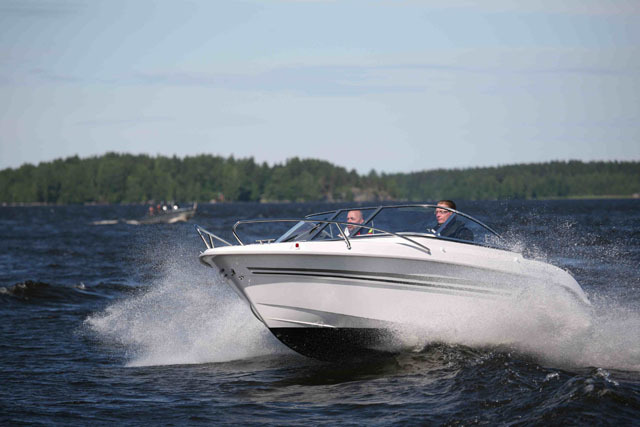 It’s not as quick as the equivalent Sea Ray, as lightfooted as the equivalent Glastron or as affordable as the equivalent Bayliner - but for most family users in pursuit of a more secure, more satisfying and altogether more complete ownership experience, Bella’s outstanding new bow rider is right at the top of its class. 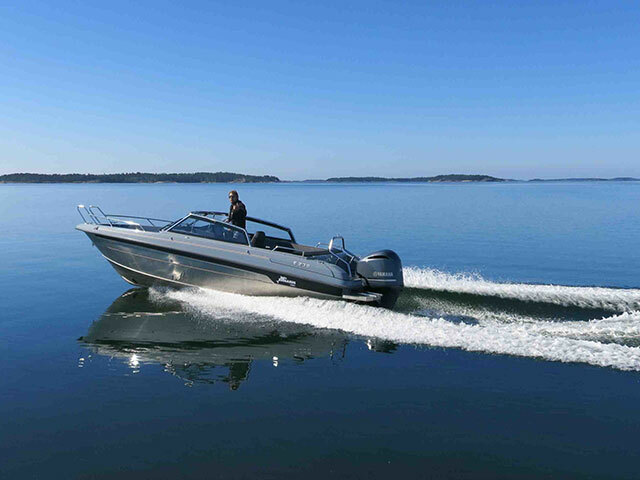 Mercury's lightweight F100 is in its element on an open 18-foot dayboat.